This post,which builds on some of the thoughts and label analysis presented in my 'What is Grisette?' post and my talk at Homebrew Con 2016, will dive into what information I have about the the general strength range that a historic grisette falls into. As usual there are still questions, but hopefully this helps to make the identity of grisette a bit more clear and helps you choose what strength to make your grisette. Also, as with the previous post about hopping grisettes, this builds off of an incomplete set of source material which relies heavily on Pelset's 1874 book. This text, while fairly thorough, has some inconsistencies, leaves some stuff out, isn't always clear, and in the end is only one source from one point in time for >100 years of beer brewed by many different brewers. 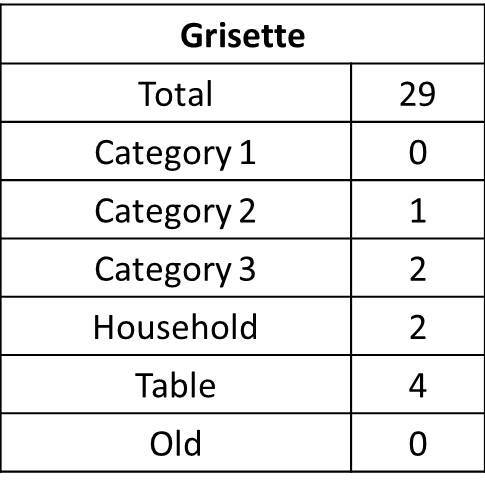 The book is also on the earlier side of grisette info compared to other info out there (personal accounts from people who remember grisettes before they disappeared and labels, both of which would reflect mid 1900s grisette). To start this off, I want to look at the more modern sources that today's Anglophone brewers might be familiar with and what they say about grisette in regard to strength. These are Farmhouse Ales (Markowski, 2004), Brewing with Wheat (Hieronymus, 2010), and (most likely via Farmhouse Ales rather than directly) Belgium by Beer, Beer by Belgium (Perrier-Robert and Fontaine, 1996). -Farmhouse Ales cites Leon Voisin, retired brewer at the old Brasserie Voisin (see the saison label below) to say that grisettes would have been 3-5% beers. Shortly thereafter Belgium by Beer, Beer by Belgium is cited for an OG of 16.3-17.5 Plato. -Brewing with Wheat (citing Pelset, 1874) gives a gravity range of 10.2-11 Plato and mentions that there were three classes of historic grisette: young/ordinary grisette, grisette de saison, and grisette supérieure. -Belgium by Beer, Beer by Belgium, drawing information form Pelset 1874, gives an OG of 6.5 to 7 degrees Belgian, which works out to 16.3-17.5 P or 1.067 to 1.072. Excerpt from Pelset, 1874 mentioning gravity. Here's the source of confusion: these units are "degrees in an ordinary brewer's scale". At that time there were three primary units of degrees in use: Baumé, Balling, and Belgian. I don't have a strong handle on which would have been the most common in Belgium. It probably depends a good deal on where/when a brewer was trained, which would be influenced by scale (if they were more of an industrial brewery or a small local brewery). As mentioned previously in this series, the sources available are generally biased toward industry and grisette, if its roots are in mining, is a beer with an inherent tie to industrial activity. 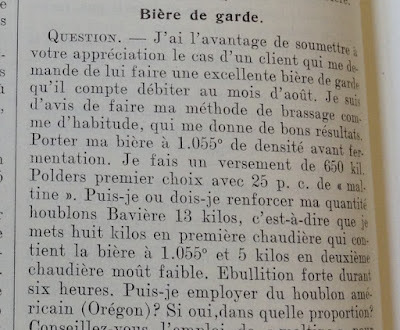 For reference, Lacambre (1851), one of the seminal books on Belgian brewing from the era (focusing on more large scale brewing activity), uses Baumé. 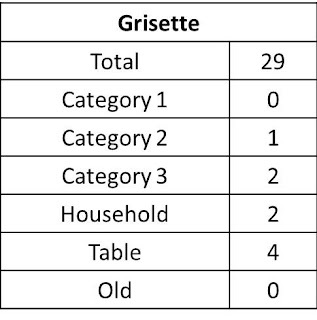 Results from an analysis of grisette labels, June 2016. This is a big range, and only one of these three possible units is what Pelset meant. 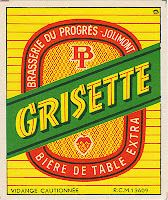 To try to determine which type of grisette would have been most common in the mid 1900s I looked through a collection of historical labels from breweries that closed before the mid 1990s, compiled and digitized by Jacques Triffin. The results from that analysis is in the tables at right. Category 3 beer would be 1.004-1.028. Some historic and modern Belgian beers list category S (Supérieure, see Seizoensbrouwerij Vandewalle below as an example). In some historic labels this is listed along with Cat. 1, so this is either at or above Cat. 1. For the purposes of this analysis I have combined it with Cat. 1. 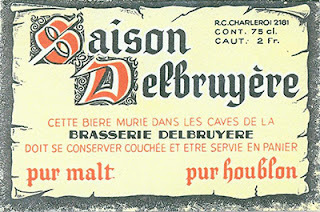 A cellar-matured saison. Keep it lying down and serve in a basket. 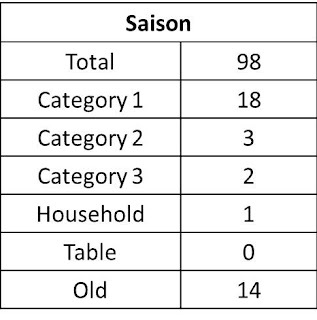 As you can see, the grisette labels cluster toward the lower end of the strength categories when the category is listed (given the caveat that not many list the strength) while saison clusters much more toward the higher end. 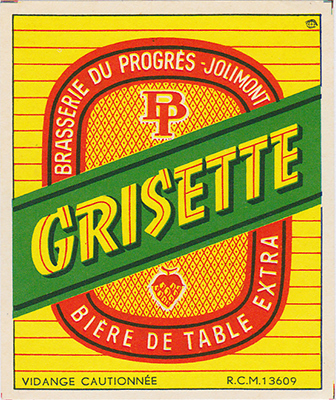 The grisette labels were also more likely to mention something about being a table bière or a bière de menage (house beer) than saison. While grisette labels didn't mention anything about being old beer, this was not uncommon on the saison labels. 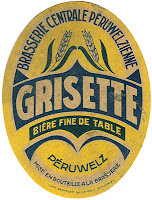 Labels not listing some of this info are an unknown, but with the information given this supports that at the time period of these labels (many of the breweries in the collection closed in the mid 1900s) grisette was a lower strength beer that wasn't aged while saison was stronger and more likely to be aged. This is also true for paired labels (grisette and saison labels from the same brewery). Though with the range in both beers, it is clear that these beers were still heterogeneous and would vary in factors like strength and aging between different producers of the same time range. 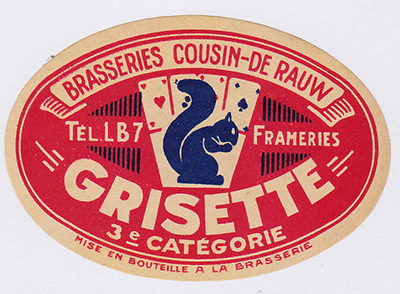 Therefore, though there is a lot of good historical cultural insight in Belgium by Beer, I think they are mistaken with the OG of grisettes. That range is well out of line with the ABV range quoted in Farmhouse Ales and it also doesn't agree with the label analysis. Over the time period from the mid/late 1800s to the 1900s, gravities of Belgian beer were not dropping significantly (excepting during the wars) and in general gravities of average beers were rising. So it is unlikely that the gravity of grisette dropped significantly between Pelset's text in 1874 and the labels, mostly coming from the mid 1900s. The interpretation of degrees as degrees Belgian simply doesn't line up with the other sources. Taking degrees Belgian off the list then we are left with an OG of either 1.042 or 1.022. If we then assume that the historic Belgian category system is roughly in line with modern Belgian and Dutch levels (and perhaps this is a bit assumption, though I think it is not likely that the categories have grown significantly weaker from the mid 1900s to now), a category 3-2 beer would be somewhere in the range of the 1.020s to 1.030s, maybe into the 1.040s. This matches with both the remaining Balling and Baumé gravity scales, though these degrees fall toward the low and high extremes respectively based on the expected gravity range from label categories. If I had to choose one I'd probably lean toward 1.042 for a couple reasons. First, that matches the units of Lacambre, 1851. Second, degrees Balling would put grisette de saison in the mid 1.020s, which is too low for a bière de saison. And finally, interpreting the units as Baumé matches the interpretation given in Brewing with Wheat which likely came from Yvan de Baets, and he is pretty informed on these sorts of things. A Cat. S beer from Vandewalle. However Baumé doesn't quite line up with the labels listing a 3rd category beer. I'm not sure what to make of this, so perhaps it is safest to target a gravity range somewhere in between the two. Splitting the difference I think it is reasonable to base grisette in the 1.030s, possibly toward the middle to higher end to comfortably hit 3-5% abv on a beer with reasonable attenuation but without the benefit of prolonged mixed-fermentation to increase attenuation further. For this reason I tend to target gravities around 1.035 for the average (ordinary) grisette personally, but I think you could have some substance to an argument that beers which are both stronger and weaker could accurately be labeled grisette, depending on time period and grisette subcategory. But what about grisette de saison and double/supérieure grisette? Brasserie De La Senne and Brasserie Thiriez brewed a grisette which Yvan de Baets told me was targeting the grisette de saison strength. This beer came out at 5.3% (DLS brew) and 5.5% (Thiriez brew), so guessing a bit on the FG this puts the beer somewhere around 1.045 OG. This fits with normal grisette being in the mid to upper 1.030s if grisette de saison is about 17% stronger than ordinary grisette, as stated in Pelset's text. 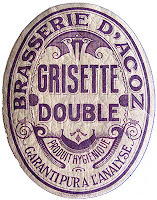 I don't have a lot to go on for double/supérieure grisette. Two distinct double grisette labels showed up in the label analysis but no strength classes were given on those labels. With grisette de saison in the mid 1.040s I think a double grisette has to be above 1.050, and probably not over 1.060, or at least not much over 1.060 given general beer strengths of the time (though this upper limit is purely a guess). 2) It seems that most grisettes were lower strength, but that is not necessarily true. There were saisons brewed at the category 3 level and at least one grisette at cat. 2 (not to mention the double grisettes, which don't specify a strength but according to Pelset would be stronger than beers of roughly 1.045 OG). 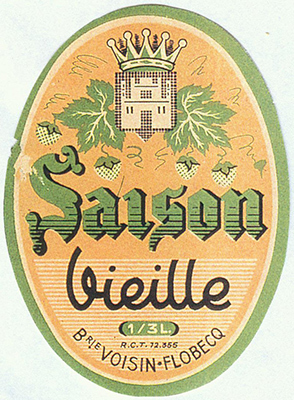 Therefore it appears that there is something in the identity of grisette that, historically at least, made it different from saison more than just being lower strength. I think most grisettes were low strength beers, and if you were going to try to make a grisette it is probably best to start in that range (mid to upper 1.030s for a standard grisette by my estimation). Grisettes definitely clustered to lower strength than saisons in the label analysis so I do think that is part of the story (at least that grisette wasn't a beer requiring age and commonly brewed to as high an OG as saison). But there are other aspects that define grisette and help to differentiate it from historic saison. So far in my research those seem to be a requirement for malted wheat, generally lower hopping rates than saison (but still high enough to be noticeably hoppy), and beers designed to not be harsh/bitter/astringent when they are young (as both the grain and hopping rates of saison might contribute to). 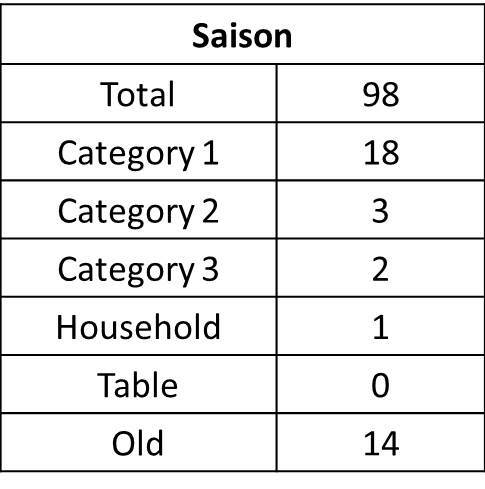 The differences get murkier in the modern world, where saison is generally a softer beer than historic recipes suggest and most saisons are not mixed fermentation or are not aged long enough to give mixed fermentation time to express itself. But what I've seen so far supports grisette as a hoppy beer (but probably not astringently so) and does not support grisette as an acidic beer. Grisettes would not be sweet beers, as is the case from the one regular producer in modern Belgium, and from what I've seen it is best not to go for acidity when brewing grisette. Fantastic stuff - thanks so much for your hard work and sharing your findings. Awesome, thanks! I'm glad you liked it. There is an interesting point brought up by Mike of Zebulon Artisan Ales (https://www.facebook.com/Zebulon-Artisan-Ales-1652951968252187/) in the Saison, Farmhouse Ales BdG facebook group which I'll link here for those that are interested. It is a topic I intend to explore in further detail, but the quick of it is that Belgian brewing in the 1800s and 1900s was increasingly influence by imported beers and grisette could be described as analogous to pilsner, but with the local ingredients and a bit of a different process. Here's the thread and thanks to Mike for bringing it up!